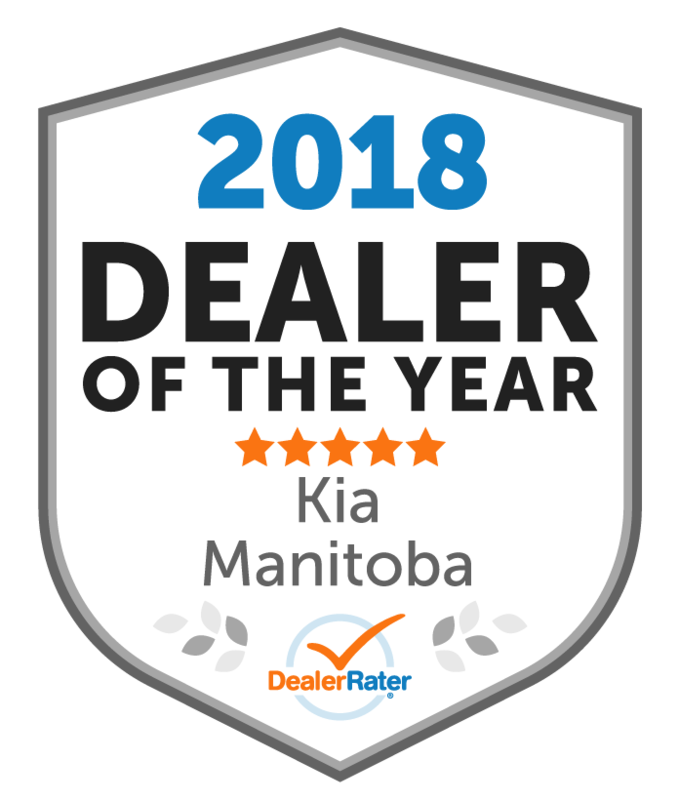 Winnipeg Kia is your number one choice for new Kia or pre-owned vehicles in Winnipeg which is why our dealership has an incredible selection of both! We recognize that as a consumer you have several choices when selecting your next vehicle, that's why we've gone the extra mile in providing our customers that's carefully selected, meticulously inspected and backed by a solid warranty. We have received numerous awards over the years including a Platinum Prestige and the Award of Excellence from Kia Canada, on top of over 5 customer satisfaction awards through DealerRater.ca! To obtain additional information, please feel free to email us with any questions or special requests. We’ve dealt with several dealerships and this one has to be our favourite! From the beginning until the end of the sale these guys proved themselves to be reliable, trustworthy and overall a pleasure to work with. They made buying our vehicle easy and we would definitely recommend them to family and friends. Although there were hiccups along the way; Mike and Ed never failed to find a solution in a timely manner. Our satisfaction always seemed to be their number one goal. Thank you so much for taking the time to leave us with this review. We appreciate your honesty and are glad to hear that a solution was reached in the end. 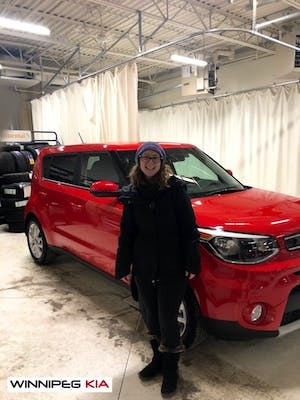 We wish you many years of safe and happy driving in your new Kia Soul! 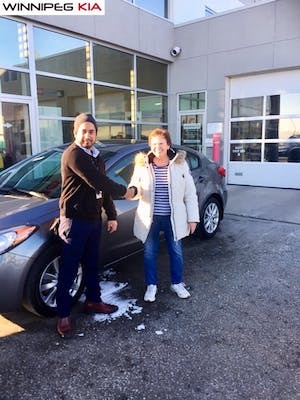 Thank you so much for choosing to purchase from us, we wish you many years of safe and happy driving! "Kia at the Waverly auto mall is amazing"
Thank you SO much for your continued loyalty! 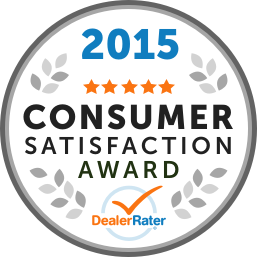 We appreciate you as a customer and are thrilled to hear you consistently enjoy our service. We wish you many years of safe and happy driving in your new Kia Soul! I'm glad we decided before going to the dealership that we wanted a Kia. Doug is a very quiet salesman but knows the cars well. If we hadn't decided to buy a Kia I would of felt pressured cause they want you to sign a paper saying you will buy a car that day if they have one at a price you want to pay. I dont agree with that practice but I love my car. Kristie our financial lady is amazing. I really enjoyed working with her. Working with her was like working with a good friend. Thank you Doug and Kristie for a great experience. Thank you for leaving your honest feedback regarding your purchase experience! We appreciate the comments and will pass them along to the tea. 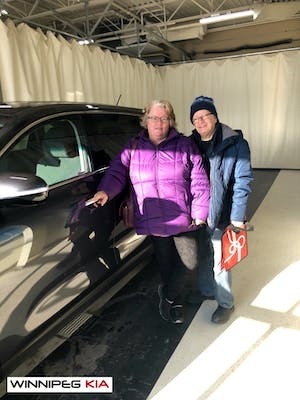 Thank you for choosing to purchase from us and we wish you both many years of safe and happy driving! 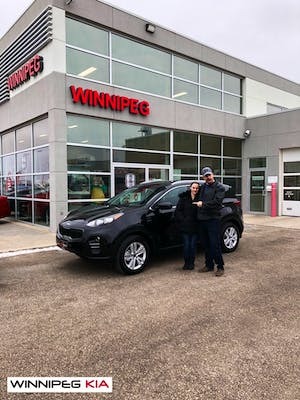 When our car got totalled we saw a truck for Sale at Winnipeg Kia we where interested in when we went in we had an easy time working with Michael, Ed and Kristie when purchasing our truck, treated us like family. We appreciate the kind words and recognition and are thrilled to hear your experience with us was a positive one. We wish you many years of safe and happy driving in your Toyota! I came back to Kia because my first vehicle was a Kia. I really love my Kia and my relatives all love my Kia. Winnipeg Kia and Michael were good and explained everything well. Thank you so much for leaving us with this amazing 5* review! 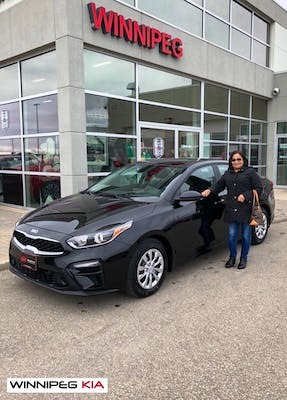 We appreciate the kind words and wish you many years of safe and happy driving in your new Kia Forte! Marie, thank you so much for taking the time to leave us with this review - we are thrilled we were able to set you up with some new "cool" wheels for all of your adventures! 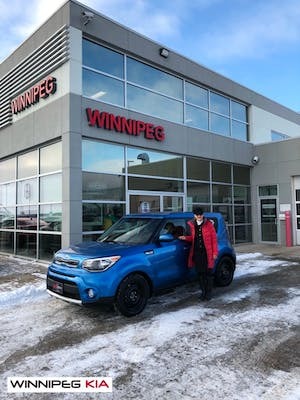 Your kind words have been passed along to the team, thanks again and we wish you many years of safe and happy driving in your gorgeous Caribbean blue Kia Soul! I've never purchased anything new before so going into a dealership petrified me. And with my high anxiety, I was thinking I'd leave in minutes. But as soon as the salesman (Michael Nagy) started talking, I calmed right down. At no point did he pressure me into bigger or fancier vehicles. He listened and stuck to what I needed and wanted. My fionce and I COULDNT of asked for a better experience. Finance department was another scary situation but Kristie made it, again, absolutely pain free. Explained everything perfectly and wouldnt move on until I was positive I knew what was going on. Just.....awesome. Thank you so much for taking the time to leave us with this review! We are thrilled to hear that you were put at ease during your sales experience with Michael and Kristie. We wish you many years of safe and happy driving in your new Sportage! "A Pleasanf Car Buying Experience "
I was pushed into getting a vehicle due to a write off of my van. I had little idea of what I would want or what would make a good replacement. My circumstances had changed considerably. I had spent two days visiting nearly all the dealers in the Waverly auto mall before arriving at Kia. 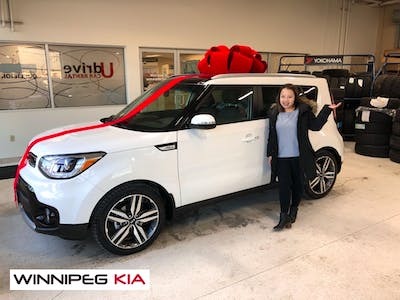 By then I had some idea of what to look for but the Kia staff soon had me focused on the best model for my needs and then we selected the most promising available used one. I felt there was some pressure to make a deal on the spot, but I eventually felt that my earlier explorations had put me in a position to make the deal. All the staff at Winnipeg Kia were very helpful, courteous and professional. "The least stress I’ve ever had buying a car!!" My new Kia Sorento drives like a dream! I had the best experience at Winnipeg Kia. Eric, Ed and Kristie were professional, kind, courteous, informative, fair and genuine. 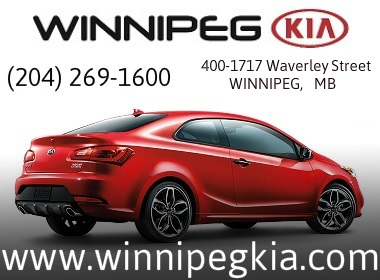 We are happy to hear that you got exactly what you wanted out of your car-buying experience with us at Winnipeg Kia! We wish you safe travels in your new Kia and look forward to seeing you again soon!